There are many theories to how to do SEO. Some people believe that having a ton of great backlinks is the only way to go in order to gain authority in the eyes of analytics companies such as Moz & others. This is not completely untrue, backlinks are important. Some people have theories that you have to have a ton of directory submissions in order to have your business found for local SEO & for many businesses, this is important because if your company is more of a brick-and-mortar, similar to a restaurant or other type of home business, then yes, that would be a key component. However, the components that are truly needed the most & what people in industries such as journalism (particularly news & sports), entertainment & others have realized is that clicks are one of the biggest keys in all of SEO. 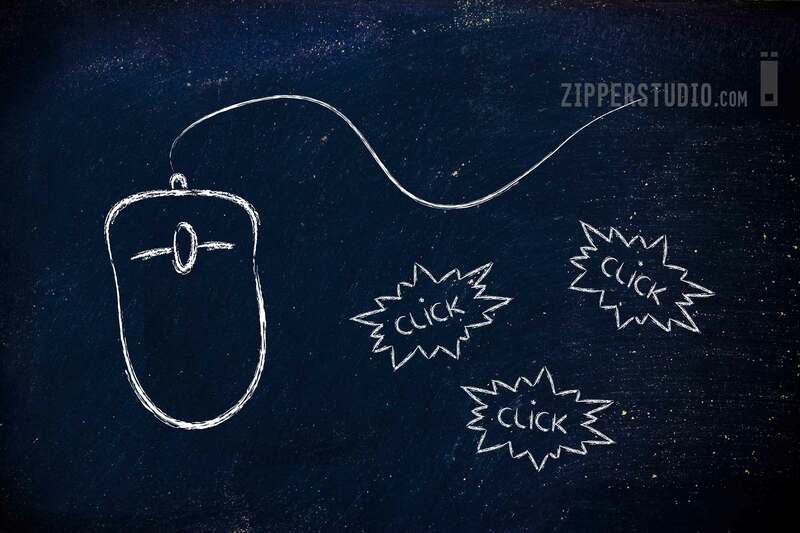 Zipper Studio offers an extensive click package that will undoubtedly move your website to the top of search engines such as Google, Yahoo & Bing. But, the question is exactly why does the CTR percentage mean so much & why is Google putting so much emphasis on this statistic for webmasters to follow like a puppy dog following its owner? Simply put, Google has put much more emphasis on reclassifying websites & their search engine position based clearly on their search queries. If a website is clicked on, it shows that someone or a group of people were actually interested in the content on that site based on the titles & meta description. According to advancedwebranking.com, the top position in Google for a search query received 30% of clicks in 2014 (minimum of 50 search impressions per day). Overall, sites that rank at the top of Google have over a 10-15 CTR ranking overall. Websites that have a high CTR rate for a keyword & a high website CTR are seen as more trustworthy & have the opportunity to stay at the top of the search engines for a long period of time. Doing SEO that is based on increasing clicks is one of the most effective forms of SEO campaigns because it also increases natural user engagement – another factor of not only great SEO on websites but strong social media optimization on Facebook, Twitter, YouTube, Stumbleupon & others. The more that people are searching out a particular keyword for your website & clicking on your website when looking on Google, the more likely that your website will skyrocket to the top of Google search worldwide. In Google Adwords, clicks are incredibly important that companies & individuals will bid an amount to stay at the top of search engines over time for particular keywords. 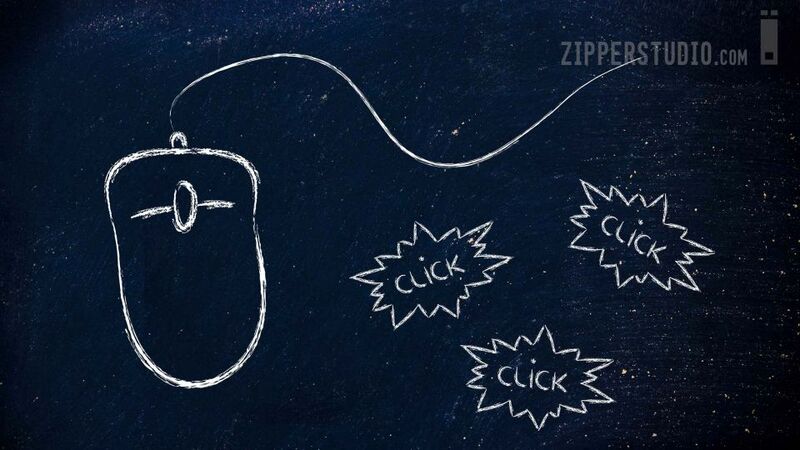 With Zipper SEO, our clicks will increase your organic CTR rate, which is the most important rate in terms of getting your website to stay on the first page of Google & other search engines for a long period of time. This infographic (provided by advancedwebranking.com) shows the correlation of clicks to website positioning in Google in 2014. But, gaining the clicks isn’t the only part of the game. A strong website needs to have good navigation & user interaction once the click has been made, which is where visit duration comes in. Visit duration is a great proving ground for the validity & overall strength of a website – simply put, the longer a user stays on a website, the better off that website will be seen in the eyes of Google for certain keywords & will rank the site high to reflect that. While many industries have different metrics that are used to rank high in search, long visit duration & low bounce rate will always put you at the top of Google search no matter what the industry is. The low bounce rate from your web traffic, especially from real organic search clicks, will give Google more validation that your website is an authority site when it comes to your particular keywords & when a user clicks around a website, it lowers the website bounce rate & leads to ranking for many keywords in a quick amount of time. In our next post, we will have more information about SEO tips & about certain things that can be done to ensure that your website is always ranking high at the top of Google.